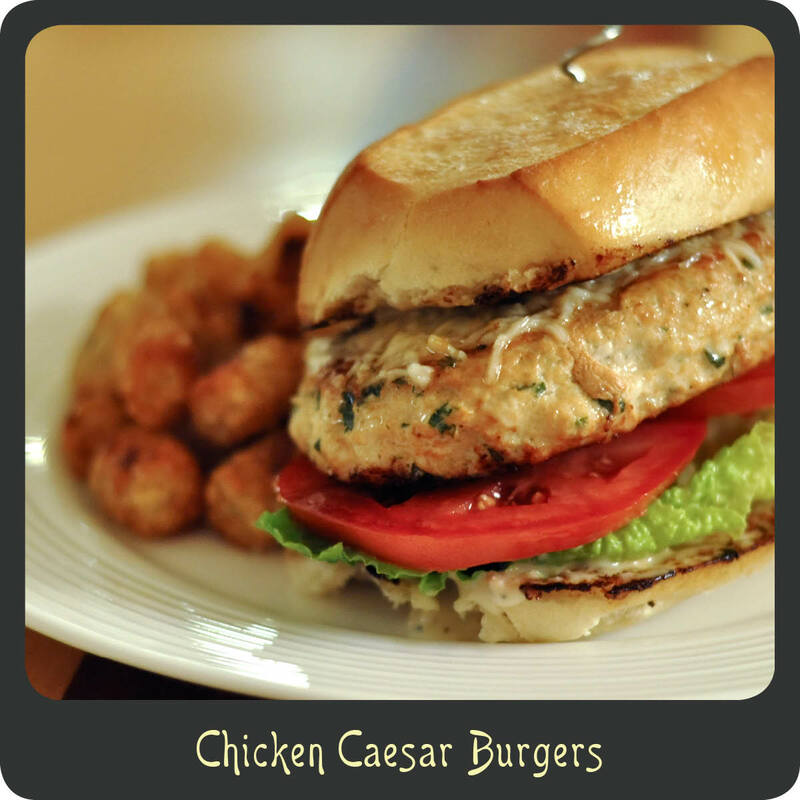 Everything delicious about a chicken Caesar salad can be found in this chicken burger. It’s got the lemon zest, rich parmesan, and creamy dressing. Many people think of ground chicken patties as bland and dry. After trying these one’s opinion of them will completely change. These are not only really moist but they are also super tasty. When I cooked these the other night I made my hubby the burger on the bun and I just enjoyed the patty along with a big side Caesar. This gave me a fabulous low-carb alternative. These sandwiches are incredibly quick and easy to make and give you a really great healthy alternative to a beef burger. In a large bowl combine the chicken, garlic, parmesan, salt, pepper, Worcestershire sauce, parsley, and lemon zest. Mix the meat and ingredients and form into 4 patties making sure they are the same shape and size as your rolls. Heat 2 tablespoons of olive oil in a large non-stick skillet. Add the chicken patties to the heated skillet and cook for 4–5 minutes per side. While the patties are cooking place the buns cut side up on a cookie sheet and drizzle with the remaining 2 tablespoons of olive oil. Flip the buns over so they are cut side down. Remove the patties from the skillet and transfer them to the baking sheet if there is room, if not use a second baking sheet. Top the chicken burger patties with the shredded parmesan cheese. Bake the buns and patties in the oven for 5 minutes or until the cheese is melted and the buns are nice and toasty. Spread each cut side of the buns with Caesar dressing. Place 2 romaine leaves and two slices of tomatoes on each bun bottom. Add the chicken patty and finish off with the top bun.